USA: All Senior and Open Division competitors must have competed in a Regional Championship during the same qualifying season. International competitors must have met their respective country's championship participation requirements and those who do not have the opportunity to qualify in their own country. See below for special instructions and information on specific countries. b. Attend Last Chance Qualifying in Mesquite if they fail to secure a spot in the field for Mesquite at Palm Meadows GC on Sept. 17-18 and if they have participated in at least 4 (four) events on the 2011 Australia LD Tour. 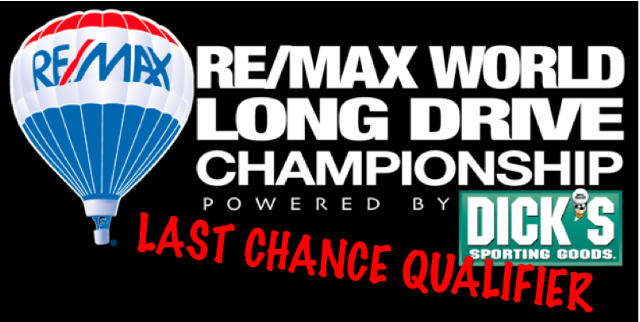 Following the conclusion of the 2011 Australian Championship on Sept. 17-18, Tour Director of Longdrive Events Australia will furnish LDA with a list of Australian Tour competitors eligible to register for Last Chance Qualifying. Again, those individuals must have competed in a mininum of four Australian Tour events in 2011. To check on your participation to date, and to see a schedule of remaining Australian Tour events, dates and sites, contact Longdrive Events Australia at grubersgolf@gmail.com or at www.longdrive.com.au. Please note that residents of Australia wishing to compete in Mesquite in the Super Senior (50+), Grand Champions (55+, Legends (60+), Masters (65+) and Ladies (all ages) Divisions have until July 15 to register. The entry fee for these buy-in divisions is $800. Here is the exemption list of RWLCA Competitors, that are eligible to compete in the Last Chance Qualifier in Mesquite Nevada on the October 29 & 30, 2011. The cost is $350 each event, and any competitor may enter both days (events). Currently the LDA is planning to have 32 competitors in each event, with the top 2-3 making their way into the field for the RWLDC Championship three days later. Registration will open Thursday Night 29th September, and you must contact the LDA directly to summit your entry and payment. LONG DRIVERS OF AMERICA, Ltd.